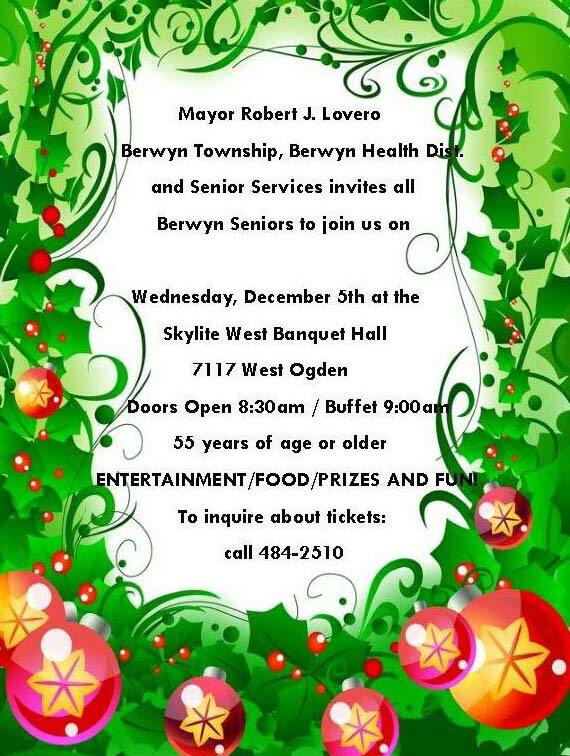 The #Holiday Senior Breakfast is coming up on Wednesday, December 5 at Skylite West Banquets(7117 W. Ogden). All seniors 55+ are invited to attend for entertainment, food, prizes and fun! To reserve your spot, call Senior Services at 708-484-2510.